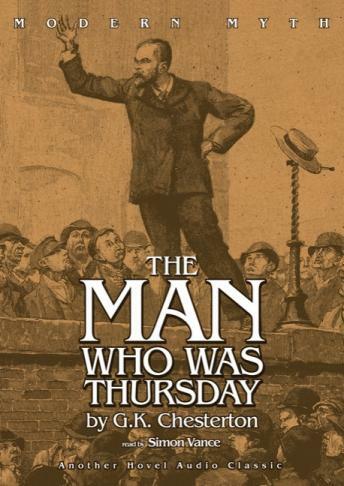 All that G. K. Chesterton’s critics and comrades labeled him - devotional, impious, confounding, intelligent, humorous, bombastic - he wove into The Man Who Was Thursday. This page-turner sends characters bobbing around a delightfully confusing plot of mythic proportions. There are so many twists and turns that soon you’ll be tangled in a story that you cannot put down...even if you’re not entirely sure why! // The Man Who Was Thursday begins when two poets meet. Gabriel Syme is a poet of law. Lucian Gregory is a poetic anarchist. As the poets protest their respective philosophies, they strike a challenge. In the ruckus that ensues the Central European Council of Anarchists elects Syme to the post of Thursday, one of their seven chief council positions. Undercover. On the run. Syme meets Sunday, the head of the council, a man so outrageously mysterious that his antics confound both the law-abiding and the anarchist. Who is lawful? Who is immoral? Such questions are strangely unanswerable in the presence of Sunday. He is wholly other. He is above the timeless questions of humanity and also somehow behind them. // G. K. Chesterton (1874-1936) was born in London. He matured into one of the great journalists, philosophers, novelists, and personalities of the twentieth century. Chesterton offered inspiration to many others, including his fellow Brit C. S. Lewis. His much-loved works include The Everlasting Man, Saint Francis of Assisi, Orthodoxy, and the Father Brown series of mystery novels.